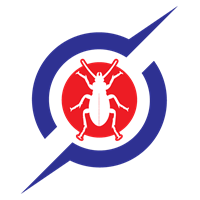 Headquartered in Rockland County, Skilled Pest Control provides pest control and termite protection services to homes and businesses throughout the greater New York City area. Great service and great turnaround time. Leah, Its a pleasure servicing you. Top notch company. Very professional with excellent costumer service. They get the job done right and they stand behind their work 100%. Their pricing is very reasonable. and most of all, I got rid of all the mice. thank you. Thank you Mendy its a pleasure serving you! Great Great service thanks a Million.